Here is a beet whose taste you’ll savor. The flavor captures the full spectrum of beets’ signature dark, sweet essence. Profound, deep, wine-purple-red color. Roots best harvested when 1” diameter. Beet, Moulin Rouge is rated 5.0 out of 5 by 2. 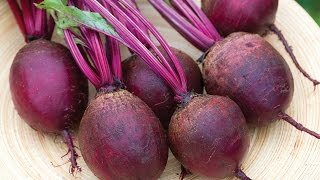 Rated 5 out of 5 by dodgebomber from These are the beets for you! Grew this type for the second year and love them! 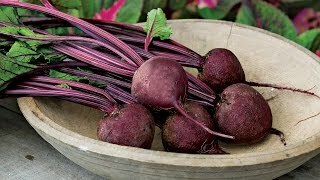 Very tasty, quick growing beet! Will be growing this type next year also! Rated 5 out of 5 by Naras from Fast Starter I recently discovered beets on a trip to Ireland. Haven't had them since I was a kid. Decided that I had to plant some in my fall garden. After just a few days in the starter pots the seeds have emerged. Can't wait to harvest!